When modeling physical processes in the ground, we often have to account for convective heat transfer due to filtration processes. 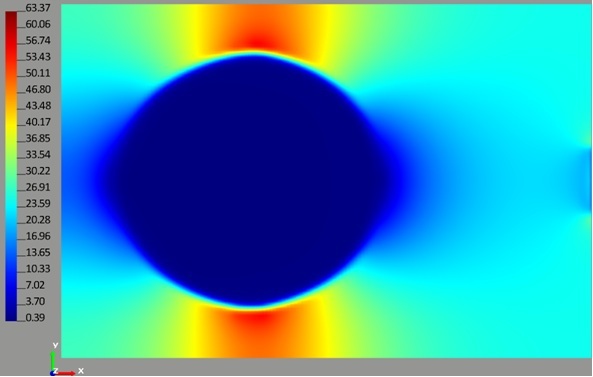 Depending on the saturation degree and the value of water velocity in pores, there are several approaches to water flow modeling. Basement walls, underground constructions and many other in-ground sections of constructions are influenced by groundwater flow. The stability of beds and banks of water reservoirs and channels also depends on filtration around coastal terrain. In the above article, we analyzed the approach for the computation of groundwater flow based on the numerical solution of the Darcy equation. We have given an intuitive demonstration of how important it is to consistently factor in water flow when modeling thermal fields in the ground. Frost 3D Universal – Software for Thermal Analysis About Simmakers Ltd.